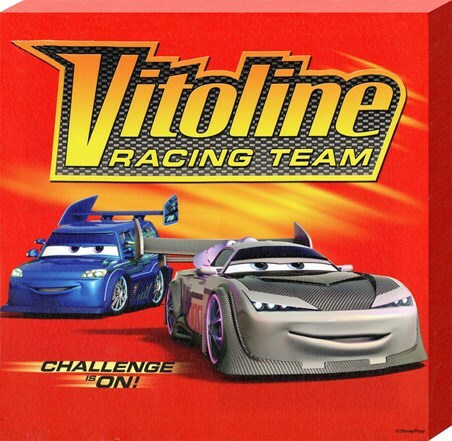 Film Canvas Print: If you are a fan of the awesome Disney Pixar film 'Cars: The Movie' then this vibrant canvas print is the perfect way to brighten up your bedroom wall. 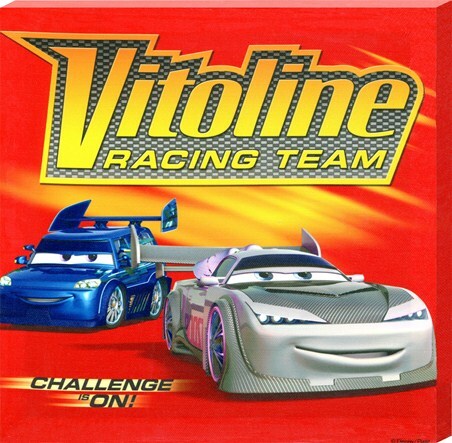 Featuring the fast and furious faces of the Vitoline racing team, this print shows DJ and Boost as they rev their engines and get ready to burn some rubber. With the words "Challenge is on" written across the bottom, this action packed canvas is a must have for fans of one of the best animated movies of all time. High quality, framed The Challenge Is On, Disney Cars:The Movie canvas print with a bespoke frame by our custom framing service.